The Cedar Rapids Kernels and Kane County Cougars will be making postseason appearances in the Midwest League playoffs in September, but don’t suggest to Kernels Manager Jake Mauer that his team’s current four-game losing streak might be because his team is tired and there’s nothing really on the line as the season winds down. FORT WAYNE, Ind. - The Cedar Rapids Kernels were cruising to a 6-1 victory heading into the bottom of the ninth inning at Fort Wayne Sunday afternoon, but then the roof caved in. Fort Wayne scored five runs in the ninth and beat the Kernels, 7-6, in 10 innings in a Midwest League game 7,528 fans at Parkview Field in Fort Wayne. John Curtiss took the ball for the bottom of the ninth for the Kernels with the 6-1 lead, but he surrendered two home runs and was charged with all five runs. Yorman Landa gave up a run in the bottom of the 10th as the game slipped away. Fort Wayne won all three games in the series and raised its record to 64-53. The Kernels fell to 68-51. FORT WAYNE, Ind. 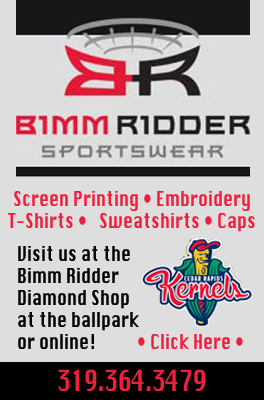 - The Cedar Rapids Kernels collected 11 hits Saturday night but had trouble scoring in a 3-1 loss to Fort Wayne in a Midwest League game before 8,195 fans at Parkveiw Field. The Tincaps scored all three of their runs against Kernels starter Sam Gibbons in the second inning, including a two-run homer by Trae Santos. Gibbons (6-3) pitched seven innings, allowing seven hits with six strikeouts. Pat Kelly went 3-for-4 for Cedar Rapids in the ninth spot in the lineup. Rafael Valera and Nick Gordon both had two hits. Valera collected two doubles. The Kernels left nine runners on base and were 2-for-9 with runners in scoring position. Valera drove in Austin Diemer with their only run in the fifth inning. Cedar Rapids (68-50) and Fort Wayne (63-53) meet again Sunday at 12:05 p.m. 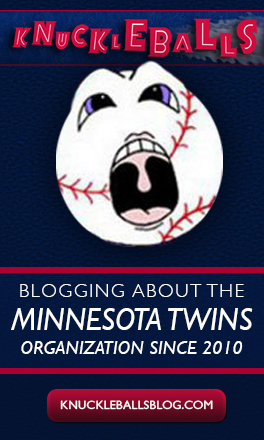 The Cedar Rapids Kernels and Minnesota Twins announced Saturday that outfielder Tanner English has been placed on the 7-day disabled list with a sprained left thumb and that infielder Sean Miller has been activated from the 7-day DL. Miller went on the DL Aug. 2 with a right thumb contusion. 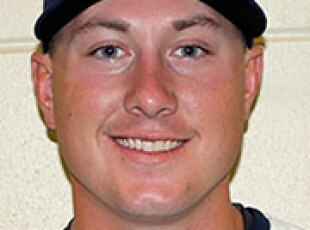 He has played in 13 games for the Kernels, batting .318 with a double and two RBIs. He was selected by the Twins in the 10th round of the 2015 draft from the University of South Carolina-Aiken. English is the current MWL Player of the Week and has played in 104 games for the Kernels, batting .265 with five home runs and 36 RBIs. He leads the team with 22 doubles and has 37 stolen bases in 44 attempts. The Twins selected English in the 11th round of the 2014 draft from the University of South Carolina. FORT WAYNE, Ind. - The Cedar Rapids Kernels and Fort Wayne TinCaps were tied 4-4 after two innings Friday night, but the rest of the ballgame belonged to the hosts from Indiana. Fort Wayne dumped the Kernels, 10-4, before 8,095 fans in a Midwest League game at Parkview Field. Kernels starter Randy Rosario was touched for six runs in four innings, then Ethan Mildren surrendered four more runs in two innings as Cedar Rapids fell hopelessly behind. Michael Theofanopoulos struck out six batters and did not allow any hits in the final two innings for the Kernels, but it was too late by then. Edgar Corcino led the Kernels with two hits. Nick Gordon collected his 18th double and Brian Navarreto hit his first triple of the season and drove in two runs. Michael Gettys collected two doubles and a triple in the leadoff spot for Fort Wayne. Cedar Rapids (68-49) and Fort Wayne (62-53) meet again at 6:05 p.m. Saturday. EASTLAKE, Ohio - Luke Bard raised his record to 7-0 Thursday night as the Cedar Rapids Kernels trimmed Lake County, 7-6, in a Midwest League game before 2,690 fans at Classic Park in Ohio. Kernels starter Zach Tillery was raked for 11 hits and five runs in four innings. Bard pitched the next two innings and calmed things down a bit by allowing only one run on two hits. Yorman Landa tossed two scoreless innings and was credited with a hold. John Curtiss pitched a 1-2-3 inning in the ninth with two strikeouts and collected his first save of the year. The Kernels climbed 20 games over the .500 mark at 68-48. Lake County fell to 57-56. EASTLAKE, Ohio - The Lake County Captains scored three runs in the bottom of the eighth inning to snap a 3-3 tie and defeat the Cedar Rapids Kernels, 6-3, before 2,430 fans at Classic Park in Ohio Wednesday afternoon. Both clubs had only five hits in the game, but the Captains made theirs count. Tanner English and T.J. White had RBIs for the Kernels. English scored two runs and had two stolen bases, giving him 37 steals for the campaign. Felix Jorge was touched for three runs in six innings. Jared Wilson (5-4) surrendered all three runs in the eighth inning and took the loss. EASTLAKE, Ohio - Nick Anderson wiggled out of a jam in the bottom of the ninth inning Tuesday night to save the Cedar Rapids Kernels in a 5-4 victory over Lake County before 2,720 fans in Ohio. The Captains had runners on first and third with nobody out in the ninth inning, needing one run to tie the game and two runs to claim a victory, but Anderson retired three straight batters and stranded both runners on base. Anderson, who recently joined the Kernels, also pitched a scoreless eighth inning to collect his first save. Keaton Steele (4-3) allowed three earned runs in six innings and got the victory. The Kernels raised their record to 67-47, climbing 20 games over the .500 mark for the first time this season. When you ask ballplayers about their outside interests, it’s not unusual for them to express an interest in hunting. In that regard, Kernels pitcher Randy LeBlanc fits in with the crowd. It’s when you ask what he hunts that LeBlanc begins to vary from the norm. He’ll tell you he spent most of his offseason fishing and duck hunting, with a little deer hunting thrown in. Although, “my dad does more deer hunting than I do,” he said. After a pause, he added the kicker. As it turns out, LeBlanc can handle an alligator or any role on the Kernels pitching staff. LeBlanc made his first start of the season Sunday afternoon and tossed five shutout innings in a 4-0 victory over Bowling Green before 2,164 fans at Veterans Memorial Stadium. The Cedar Rapids Kernels and Minnesota Twins announced Sunday that outfielder Chris Paul will join the Kernels from Elizabethton and first baseman Tyler Kuresa has been released from the Kernels roster. The Twins selected Paul in the sixth round of the 2015 draft from the University of California. In 21 games at Elizabethton he hit .302 with three home runs and 16 RBIs. He also spent three seasons with the St. Cloud Rox of the Northwoods League. Kuresa hit .204 for the Kernels in 56 games with a home run and 18 RBIs.